We’ve entered the rainy season last month, but can you believe the scorching heat? The hot and humid weather felt like we are still experiencing summer, and we need all the help we can get to cool off. I was in a haste to find the Robinsons Galeria loos, when I passed by this small kiosk that sell seemingly-awesome looking juices. They looked too inviting, I did not leave without getting myself a bottle. Among the many flavors available, I opted for a bottle of lemon juice, which is one of my favorites. I grabbed a quick late lunch and paired my meal with my newly-discovered lemon juice. I enjoyed my meal while reading all about fender telecaster musicians friend. The juice was surprisingly not too sour as I expected and tasted just about right. It has a rich natural lemon flavor and was the perfect thirst-quencher. It was also delightful to find out that Islands Juice products are made fresh everyday and that they are devoid of HFCS, preservatives, food coloring, and artificial flavors, making it a very healthy juice for everyone in the family to enjoy. Indeed, it made my day juicier. 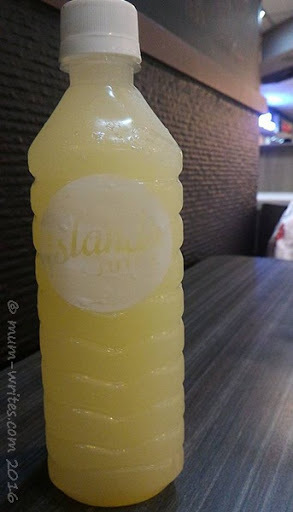 Now, I wish we have a branch in the local mall in our city so I can easily grab a bottle or two whenever I am craving for healthy and tasty juices! For more information about their juice products, do check out the Islands Juice Facebook Page, facebook.com/Islands-Juice-661648853894993, and Instagram account, instagram.com/islandsjuice. This entry was posted in foodie finds and tagged beverages, healthy eating, juices on 5.July.2016 by admin.